All skip bins hired by West Coast Waste to the client will remain the property of West Coast Waste during the period of the hire contract. The client will have no right to claim ownership and will have no interest in the skip bin once the hire contract has been completed. 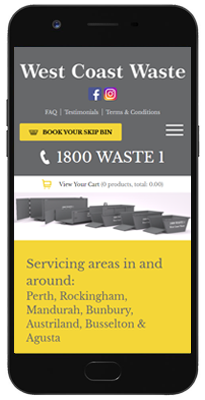 Submitting a purchase order to the website constitutes an offer to enter into a contract for the provision of skip bin services with West Coast Waste Pty Ltd. On receipt of confirmation of that order, you will be bound by a contract to purchase the services requested in the purchase order, subject to your rights to cancel or vary the order set out in clause 11 of these terms and conditions. You must be 18 years of age to purchase services using the website, and West Coast Waste reserves the right to decline orders on that basis. All prices include delivery and removal of skip bins. The price of the skip bin includes GST and is stated in Australian Dollars. Once a quoted order is confirmed, the price of the goods and services stated cannot be amended unless West Coast Waste has expressly agreed in writing to that variation. West Coast Waste accepts no liability for any property damage during bin delivery and pickup. It will be the responsibility of the customer to ensure that the area chosen for placement is suitable for the skip bin. The client will be responsible for ensuring that the skip bin truck has easy access to allow for drop off and pick up of the skip bin. The area is to be clear of any obstacles, be clear of overhead power lines and cables, as well as being able to bear the weight of the fully loaded skip bin and the truck transporting the skip bin. West Coast Waste will not be liable for any damage to land or any property including but not limited to driveways, gardens, kerbs, reticulation, grass, fences, car ports, garages, houses, personal property, cars or automobiles during the delivery and collection of the skip bin. When choosing your preferred location for the skip bin, you need to keep in mind that the skip bin is not to be moved once placed. It is up to the discretion of the driver to decide whether the location of the skip bin allows safe access to deliver and collect the skip bin. The location of the skip bin must not be a hazard for pedestrians or road users. If the skip bin is to be placed on public land, it is up to the customer to organise a council permit. Items not to be placed into the skips bins are; liquids or any explosive, toxic, hazardous, noxious or dangerous materials including but not limited to asbestos, greases, liquid concrete, acid, tyres or solvents. West Coast Waste reserve the right to charge the client directly for any fees incurred for incorrect waste or excess weight. Payment is to be made prior to delivery of the skip bin. Credit Card details will be retained until the Hire Contract of the skip bin has been completed. Additional costs may be incurred if prohibited items are placed in the skip bin. Under no circumstances are items in the skip bin to be incinerated. 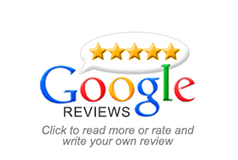 Any damage caused by fire will be passed on to the client. To ensure safe loading and transport of the skip bin, the client is to ensure that the contents inside the bin do not exceed the top lip of the skip bin. This will prevent materials falling off the truck when it is in transit. West Coast Waste will endeavour to deliver skip bins on the agreed delivery dates, but West Coast Waste will not be liable for any failure or delay in delivery due to any circumstances beyond West Coast Waste's control. The client will be entitled to cancel or vary an order provided that West Coast Waste receives notice of cancellation or variation no later than two working days prior to the delivery date. Any other variation to your order will be at West Coast Waste's discretion and could be subject to additional costs. In the event an order is cancelled by West Coast Waste the client will receive a full refund of any monies paid in advance for the cancelled order. The liability of West Coast Waste for any claim, damages, loss or expense related to the supply of services is limited to the cost paid by you for those services except where statute expressly requires otherwise. To the fullest extent permitted by law, West Coast Waste will not be liable in any event whether in tort (including negligence), contract or otherwise for any loss of profits or any consequential, indirect or special damage, loss or injury of any kid suffered by you or any other person. You will be liable to West Coast Waste for any damage to skip bins which occurs while in your possession, subject to fair wear and tear.